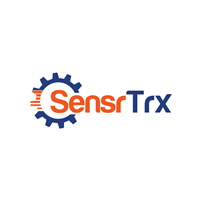 SensrTrx is an affordable manufacturing analytics Software-as-a-Service (SaaS) solution purpose-built to give manufacturers visibility onto their plant floor through machine and operator data. SensrTrx provides Industrial IoT machine connectivity, data collection in the cloud, pre-built analytics dashboards, and insight into the factors affecting availability, performance and quality. The software is also available to OEMs, closing the manufacturing loop and adding value for their customers.